Leviton QuickPort® 1-Gang 4-Port Wallplate in rectangle shape, has a thickness of 0.45-Inch to offer field configurable flexibility in an attractive 1-piece housing. This wallplate in black color, has high-impact fire retardant plastic construction for durability. 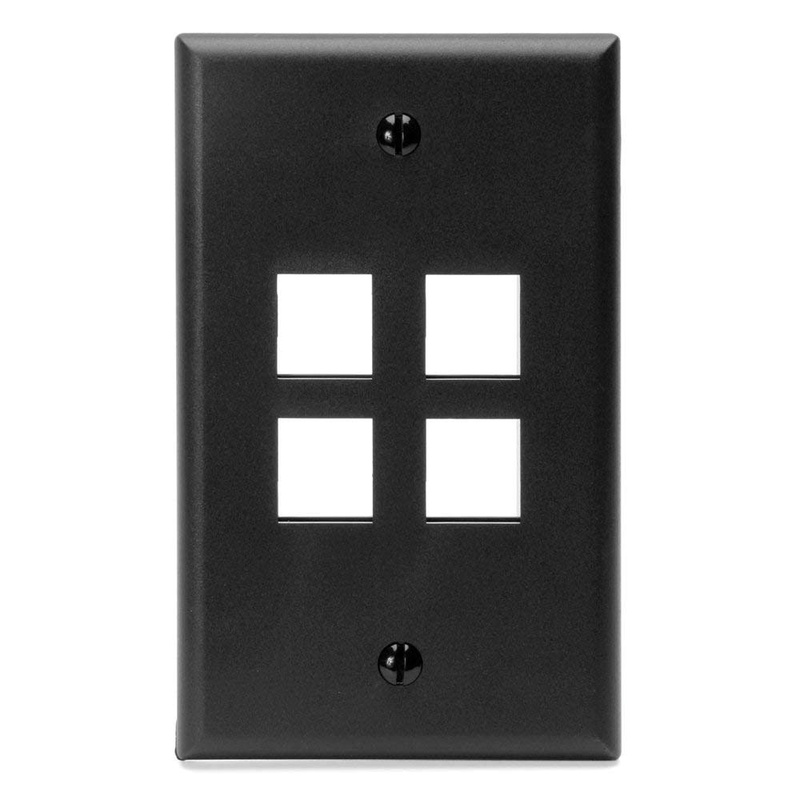 This flush mountable wallplate measuring 2.77-Inch x 4.53-Inch, mounts in a vertical orientation for easy installation. The wallplate includes color matched screw for mounting. This wallplate is compatible with all individual QuickPort connectors. It is ideal for use in V-0 flammability rated environmental conditions. The wallplate meets cULus, UL 1863, CAN/CSA-C22.2 No. 182.4 and ANSI/TIA-568-C.0 standards.